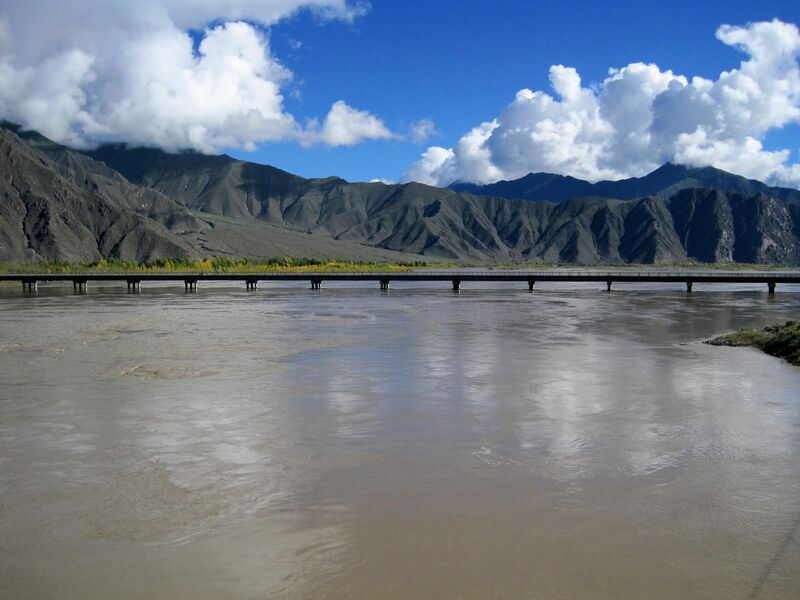 Tibet Adventure tour takes you on Friendship Highway along Yarlung Tsangpo (Brahmaputra River). The journey across the Tibetan Plateau, Yamdrok Lake shores, Gyantse, Shigatse, Tingri, monasteries, Everest Base Camp crossing Himalayas along Sun-Kosi Gorge to Kathmandu on Arniko Highway. Till these days the roots of the name Tibet are strongly debated between linguists. The name pronounced Tǔbō (in modern Mandarin) was already mentioned in Chinese texts in the 7th century. Westerners claim that the name Tibet has Arabic roots derived from words Ṭībat (or Tūbātt) meaning "The Heights", what makes some sense. But because these days politics too often has been “tainting” pure science I would stop this discussion here. Geologically, the Tibetan Plateau towered by Himalayan Mountains is an outcome of the recent (in geological time scale) collision of two tectonic plates – the Indian Plate and the Asian one. It may sound crazy, but the truth is that today’s “Roof of the World” (as the Tibetan plateau is nicknamed) with an average altitude exceeding 11,500 ft (3500 m) back in time was part of an ocean floor. Over the last 70 million years the gigantic tectonic collision is continuously pushing up the ancient ocean floor towards the sky (this is still an ongoing process). Due to the composition of sediments from the old ocean floor the vast Tibetan plateau is predominantly grayish and dusty. On the funny side of the story – despite our modern education and knowledge it is still surprising for most of us to see seashell fossils among souvenirs displayed on almost every Tibetan local craft market. At first it does not go together proving the effect of a “psychological inertia” or in other words an “association bias” (both terms coined by myself :-)). If you were to set your foot on this virgin land, to follow steps of ancient pilgrims, to visit great temples and monasteries, to enjoy the unique culture, to sip the water from limpid rivers and lakes, to trek around those mighty snow-capped peaks, you would be surely intoxicated with their wonders. Acute Mountain Sickness (AMS) is a set of symptoms acquired at high altitudes due to the combined effect of exposure to low level of oxygen and low pressure. At the sea level the barometric pressure is around 1000 mbars (760 mm Hg). At 11,800 ft (3600 m) the atmospheric pressure is only about 650 mbars and at 18,000 ft (5500 m) correspondingly about 500 mbars. In more practical numbers - in Lhasa you will have only 65% of your usual dose of oxygen while in the Everest Base camp only 50% of your daily serving. 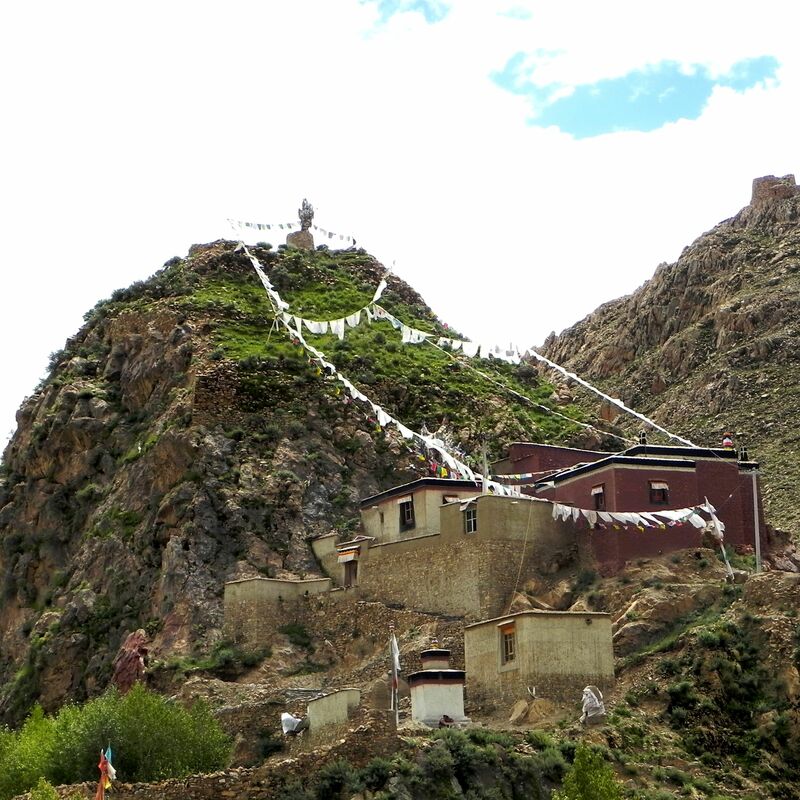 Certainly this is not something you will expect in Tibet, at more than 11,500ft (3500m) above the sea level. But the lack of oxygen is only part of the problem. Adding salt to the injury is the low pressure itself. If the change of pressure happens too fast, the human organism may not have enough of time to “equalize” the internal pressure in capillaries (especially lungs and brain). That can cause some dangerous internal leaks and fluids build-ups. The latter effect can be largely reduced if the change of pressure (altitude) is progressing slowly (acclimatization!). Seriously - a sudden “dumping” into the “low pressure pool” may be even life-threatening. Here still under its Tibetan name - Yarlung Tsangpo, the river spreads wide its sacred waters bringing life into vast wastelands of the Tibetan Plateau. The effects of AMS are largely varying from person to person. For healthy people there are no specific factors that correlate with organism’s susceptibility to the lower level of oxygen so it is impossible to predict individual reaction (the best prediction may be our prior experience). Some may observe AMS effects already at 8,000 ft (2400 m), but certainly at Lhasa’s level of 11,800 ft (3600m) not mentioning passes at more than 16,400 ft (5000 m) along the Friendship Highway and the Mt. Everest Base Camp at 18,000 ft (5500m) - the effects will be pronounced and certainly felt by everybody. The most likely AMS symptoms are: fast heart beating, headaches (“exploding head”), shortness of breath, dizziness, nausea, fatigue…..
Prevention: time (acclimatization), gradual and limited ascent per day, if possible sleeping at lower elevations, drinking a lot of water to prevent dehydration, and sorry - no smoking nor drinking alcohol. There are some drugs that can alleviate the problems, but you have to check this with your doctor. Leaving Lhasa - the Land of Gods! Lhasa literally means "The Land of gods", but actually we can extend this name for the whole Tibet. Let’s face it – if Mt. Olympus with its mere 6,617 ft (2917 m) above the sea level was the residence of the ruling gods and goddesses of the ancient Greece, then Lhasa (and Tibet) being much closer to the heavens rightfully deserves this beautiful native name. Setting off for an epic journey we leave Lhasa traveling along the Kyichu River (also known as Lhasa River). The river runs wide bifurcating into myriad of branches forming a delta-like water-land with countless wooded islands and abundance of gravel ridges and sandbars. 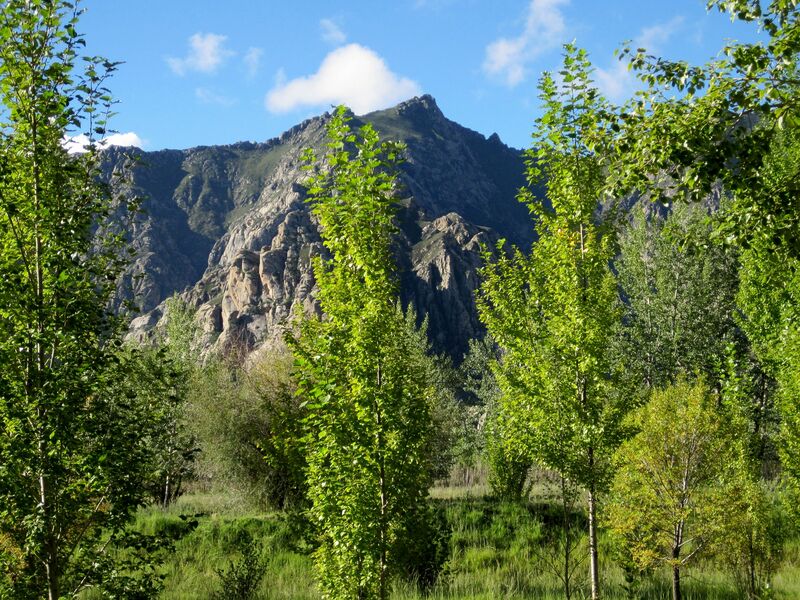 It seems to be a perfect place for rafting trips navigating along fabulously green Lhasa Valley. September’s late summer is really late here…..
Chushul bridge over the Yarlung River. About 40 miles (65 km) down the Friendship Highway just after Kyichu’s confluence with Yarlung Tsangpo River we leave the highway crossing the river over the bridge to take the road S307 towards the sacred Yamdrok Lake. The Chushul bridge over the Yarlung River links Lhasa with the Gonggar airport. For many this is the first and honestly unexpected encounter with the waters of the famous “Holly River”. For most of us it is not obvious that after crossing Himalayas into India this initially all-Tibetan river is known as Brahmaputra (in Sanskrit - “Son of Brahma”). Tibet Adventure: One of the last accents of the vibrant life in the Lhasa Valley before climbing the first major pass Kamba La at 15,730 ft (4794 m) on the way to Yamdrok Lake. No wonder that the bridge is a well known as a shooting site. 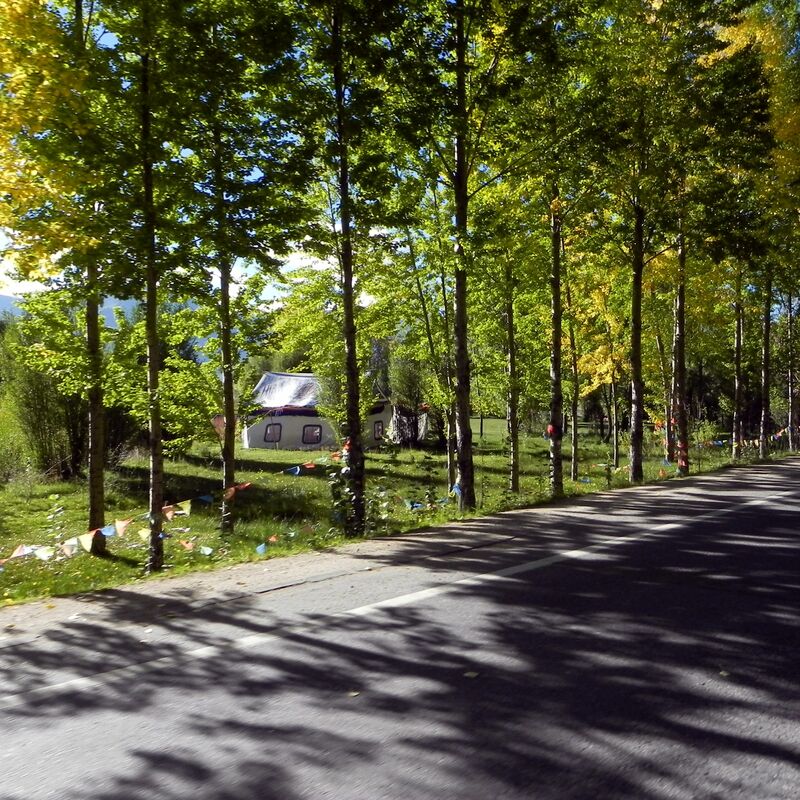 For those just making first steps in Tibet it is a “welcome blessing”, for those leaving Lhasa it is a symbolic way of saying “goodbye” and finally for those more “spiritually involved” it is an opportunity to watch in silence these sacred waters closer to their “birthplace”….. Along the road S307 towards the Yamdrok Lake. Landscape is visibly changing with S307 climbing the first major mountain pass. Trees slowly vanished from the landscape giving way to vast grasslands dotted with yaks. It may be worth to mention here that most of Asian mighty rivers originate in Tibet. Indeed it is a sacred place where well known China’s Yangtze and Yellow Rivers, Indian’s - Indus, Ganges and Brahmaputra (Yarlung Tsangpo) and Vietnamese Mekong (Lancang River)) start their lives. Back to the Chushul bridge - there are many reasons to stare at these flat running waters. 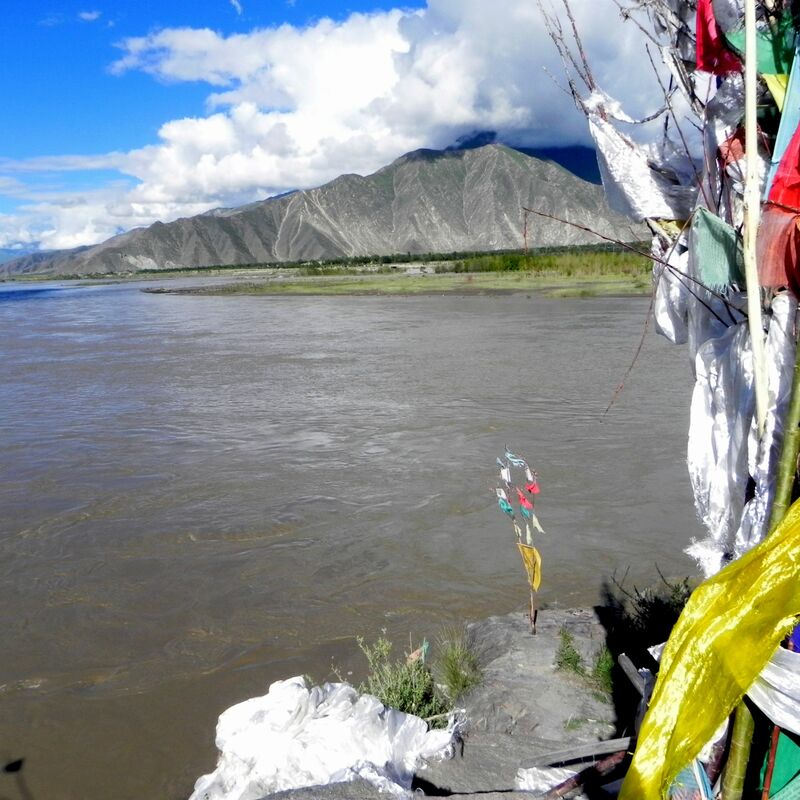 Yarlung Tsangpo River originating near Tibetan Holly Mountain Mt. Kailash, some 560 miles (900 km) westward from Lhasa is the highest major river in the world. Leaving the Tibetan Plateau Yarlung Tsangpo forms possibly the deepest and longest canyon in the world. It cuts through Himalayas near their easternmost peak Namcha Barwa raising a staggering 22,300 ft (6800 m) above the river level.